Gorge Wedding is a premier directory for Hood River wedding and bridal services, as well as the surrounding Columbia River Gorge area. From photographers to caterers, venues to rentals, our comprehensive list of professionals offers everything you need to plan and enjoy your special day. Responsible for capturing the details of your wedding day, in one of the most scenic wedding destinations in the country, Gorge Wedding photographers always deliver. Our listing of local Hood River photographers and surrounding Gorge photographers know the landscape, the lighting, the venue and the subject matter better than anyone—just look at each of their portfolios. Known for its wide variety of locally brewed beer and 30+ wineries in just 40 miles, the Columbia River Gorge is ideal for pouring something special for your wedding guests. 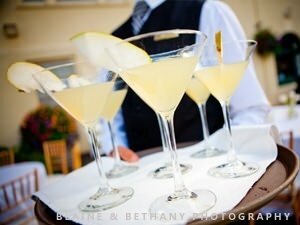 Choose from our Gorge Wedding bartenders for premium bartending service and cocktail servers to ensure your wedding day is more than just an event – it should be a celebration! From local Gorge flowers to exotic floral bouquets, Hood River florists and surrounding Gorge florists know exactly how to bring personality to your wedding day. Our list of professionals will ensure your nuptials are adorned with flowers that exude your style, meet your budget and ultimately create the ambiance you prefer. Whether you are looking for elegant tents or rustic accessories, table top linens or ceremony chairs, our Gorge Wedding rental service providers will make sure you celebrate in style. Each of our vendors provide quality rentals in Hood River, as well as the surrounding Columbia River Gorge, so if you are looking for professionals to stage and adorn your wedding destination, look no further. Will it be an orchard-fresh pie, a four-tiered cake or elegantly-decorated cupcakes? Whatever you choose, our Hood River wedding cake providers and surrounding Columbia River Gorge dessert chefs will deliver something that looks as good as it tastes. 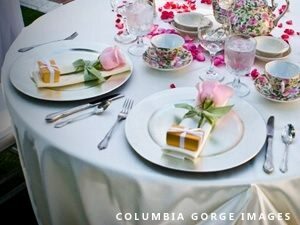 Personalize your wedding day with a sweet treat from one of our Gorge Wedding professionals. 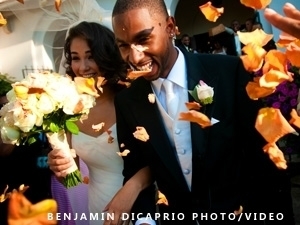 Celebrate your Gorge Wedding in style with full-service catering. Choose from our Hood River caterers, or surrounding Columbia Gorge caterers, for quality food guaranteed to compliment your special day. Yes, we live in a digital world but it’s still exciting to receive a beautifully-printed wedding invitation in the mail. Creating tangible wedding invites or save-the-date cards gives you the opportunity to introduce your personality and deliver something personal to your guests. 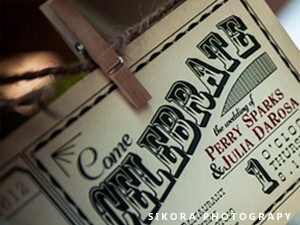 Design your custom invite with the help of a Hood River wedding invitation professional. Columbia Gorge wedding venues are remarkable for their pristine mountain views, bluffs overlooking the great Columbia River and proximity to some of the finest orchards and vineyards in the Northwest. Capitalize on one of the nation’s most popular wedding destinations by selecting a scenic backdrop guaranteed to make your day more than just a candid moment. From engagement rings, to Columbia River Gorge activities, wedding party gifts, to outdoor recreation, Gorge Wedding provides a list of professionals eager to help with your wedding details. Comprised of local Hood River retailers and surrounding Gorge merchants, each take pride in delivering quality products and services to those looking to wed in the Columbia River Gorge. 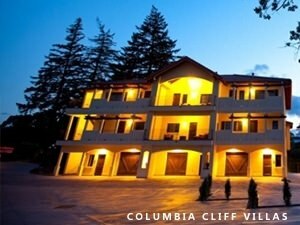 Columbia Gorge wedding accommodations are quite diverse and beautifully unique. Due to the landscape of the Columbia River Gorge, couples can enjoy a quaint in-town bed and breakfast, a vacation rental located in the heart of the vineyards, or a larger mountain resort perched on top of Mt. Hood. The choice is yours. You’ve never looked more beautiful, the venue is breathtaking, the flowers are incredible and you are about to start your life with the person you love most. If only you could freeze time. The best way to preserve your special day is to invest in a professional wedding video that captures the details of the day and the many magical moments you’ll never want to forget. Saying your vows can be the most memorable moment of your wedding, but without the right officiant the memories can be less than optimal. Whether you are looking for a religious ceremony, something a little more formal or perhaps something as low key as possible, you’ll want to make sure you find the right person for the job. If you aren’t local to the gorge area or just prefer the help of a professional to plan your special day, Gorge Wedding offers highly-skilled wedding planners. Local to the gorge area, these wedding consultants can help you choose your vendors based upon your personal style, as well as run the events of your wedding day, decorate, organize and facilitate your every need. Practice makes perfect! Feel confident going into your ceremony by choosing a premier rehearsal-dinner venue to nail down those last minute details. 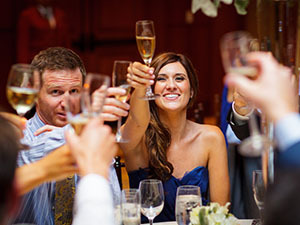 Rehearsal dinners are not only an important part of the preparation process, but it gives you time to honor your wedding party and enjoy an intimate meal with your closest friends and family. Join the growing number of wedding professionals who are already part of the Gorge Wedding family. With us you'll receive a dedicated web page where you can showcase photos, leverage social sharing and change out your own content as often as you'd like! GorgeWedding.com made it easy for me to plan my Hood River Wedding from my home in Louisville, KY. I was able to choose a venue and florist without having to fly out prior to our wedding. 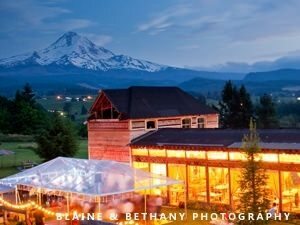 I knew the Gorge was known for its stunning wedding venues, but GorgeWedding.com, made it easy for me to see all of the options one one website. It saved me hours of browsing and ultimately helped me find the perfect location. Truly an amazing experience! This location is breathtaking and the staff made me feel like I was family. I will make vagabond a family tradition forever! Thank you for the honor of being the first wedding there! It was an absolute dream come true! I will never forget having bald eagles flying over the gorge as I'm walking down this magnificent isle to the man of my dreams! Brides don't wait a second longer to book this venue!!! It was perfect and accommodated ALL of my family with rooms. From the bottom of my heart thank you all!!" A BIG thank you for being such a big part of our special wedding day! You did such an amazing job with everything. Thanks for all the special memories. My floral arrangements and flowers for my wedding party were simply stunning! Alicia took my ideas and created unique designs that were better than I could have ever imagined! We had a destination wedding and Alicia was so great to work with every step of the way. She made sure she understood my vision and used her touch to bring it to life. Saying goodbye to ll my floral arrangements was one of the hardest parts of having a destination wedding, I wanted to take them all home with me! I would recommend Alicia to all brides. She will work with your budget to create magic! Thank you Alicia! The most beautiful flowers ever!!! My wedding was absolutely gorgeous thanks to Alicia!! We had never met before, because I live in California, and got married up north, so all of our conversations were done over email, and she captured everything I wanted and exceeded my expectations. I am still in amazement. By far my favorite part of the look of the wedding. Thank you Alicia!!! Alicia was amazing, the best florist Id say in the NW. 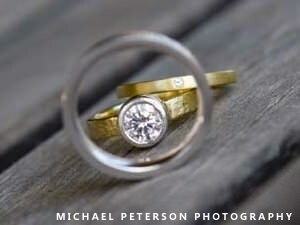 She's extremely talented and has brilliant ideas to work with the theme of your wedding! I had a vintage 20s wedding and she came up with a scheme, that completely resembled the wedding colors and ensemble that I was looking for. The quality was great, better than I had imagined possible. She's prompt, willing to work with your design, and detail oriented. I would highly recommend her services! I'm so happy that I had Alicia do my flowers- they were beautiful and really tied our fall wedding theme together. I wanted fall seasonal flowers, lots of color and out of the ordinary/ eclectic flowers- She nailed my vision without me being able to express to her, she read my mind and was very creative. I wanted a lot of different elements in our flowers and she delivered- several different boutineers, corasages and centerpieces.She was also very budget conscious, which I greatly appreciated and counld not believe the flowers i got with my budget. I couldn't be happier with her designs, quality and serivce. 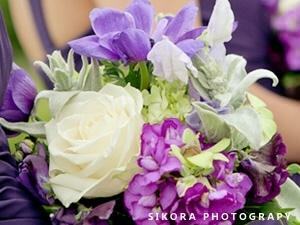 I would definitely recommend Floral Design by Alicia! "Bethany: thank you so much for all you did. You truly saved us from the brink of disaster." "Bethany went above and beyond for us at multiple points throughout the evening." We wanted to thank you, again, for doing such a great job. We couldn't have been happier with the ceremony and the reception. We wanted to have a joyful evening and you provided a perfect soundtrack. We've received a number of compliments from our guests about the reception and I think a good time was had by all. We appreciated the "front-end" help too. Thank you Heather for helping us put together such an incredible and unforgettable wedding! Thank you once again for all your help in planing and coordinating our "Big Day"! Everything ran so smoothly that Erik and I really just got to enjoy every moment of our wedding day. Many, many thanks! Thank you so much for all the work you put into our wedding. You were so patient and helpful during the planning process and a joy to work with. We were so happy with how everything turned out. Thank you so much for working with us and our other vendors to help make our day so perfect! You were such a blessing at Sarah and Will's wedding! Thank you for giving of yourself so generously and working so joyfully and patiently with everyone. Thank you for such a beautiful memory!! We booked Chris for our wedding in March 2016, and couldn’t have been any happier. Scheduling and logistics were east to work out, and he was punctual, courteous, professional, and a lot of fun. Chris worked with us ahead of time to get a sense of our taste in music and gather our specific requests. He has an expansive vinyl collection and did a great job of matching the music to the mood through the various phases of the evening (cocktail hour, dinner, cake-cutting, dancing). When it came time to dance, he did a great job of reading the crown and playing songs to keep people of all ages on the dance floor. When our guests had requests, he obtained them digitally quickly to keep everyone happy. The music volume was always appropriate for the space and setting. When the evening was through, he packed up everything quickly, being respectful of the venue and their closing time. We were worried about choosing a DJ, because that’s the only wedding vendor where you really don’t get an opportunity to sample their product / service before the big day. Chris put us at ease, and really helped make our wedding a fun and memorable time for us and our guests. Thanks Chris! Chris was a fantastic DJ. He was always professional while providing advice and support throughout the planning process. The ceremony was outside and the remainder inside and he had no problem with the major changes in party location. The music was central to the ceremony of course, as well as background dinner music, the Dad-daughter / Mother-son dance and the cutting of the cake. Chris was incredibly flexible, had plenty available in his song library for requests from all ages of guests, and provided a fabulous dance party for all! Thank you so much for making our wedding day amazing! We thought the food was incredible and had many guests tell us that it was the best wedding food they've ever had! 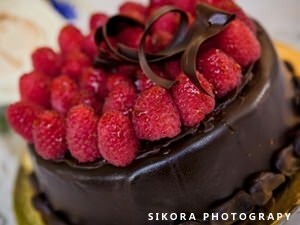 Coming from Chicago with a catering background, we had high expectations when it came to our wedding caterer. Celilo's delicious, local & colorful fare completely wowed our guests and their service was flawless. It was easy and lovely working with Heather, Ben and the rest of the team. We are so very thankful to all of you for catering our wedding! Our guests raved about the food and the service. You all truly made our day one we will never forget and we cannot thank you enough! We were so happy with how everything turned out. Many guests said it was the best food they've had at a wedding and my dad, a lifelong fisherman said the salmon was the best he's had. Thank you so much for your patience and help during the planning process, you were a joy to work with. Our wedding was not only amazing but the service provided by TWISTwas outstanding (to say the least)! The servers were extremely friendly, professional and very easy to work with. Stephanie did everything possible to provide us with what we wanted and was very flexible. If you are planning a wedding please know that by using TWIST you will receive the highest quality of service available out there. Again, thank you Stephanie and crew for all you did for us; it's much appreciated. Best and CHEERS! The Twist team was extremely friendly and helpful. They really worked to provide what you were looking for and then provided an extremely thorough tasting (which was also a blast!). The staff who attended the wedding were fantastic and very friendly. They even walked around handing people water who had done a fair amount of dancing! I would definitely recommend Twist to anyone looking for excellent communication, great service and a good time! I had my wedding in this beautiful historic venue and it was an honor to celebrate in this place of local significance. The people who run, operate, and advocate for this venue are hard-working and awesome! I love the beautiful wood floors at the Civic; makes for great dancing and a wonderful place to gather with friends! Great food made with the most fresh ingredients. I would recommend Ahi's catering to everyone. 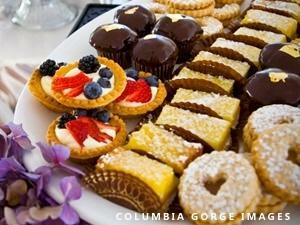 Mark and his staff catered our Wedding this past August in Hood River, Oregon. We didn't hire a wedding planner and as we soon learned, planning a wedding is hard. We knew the 3 most important things were the food & drink, the entertainment and the venue. Mark and his team handled the food and the bartending for us. Out of all the things we had to coordinate, working with AHI was one of the easiest and seamless parts of our process. Mark and Ashley gave us (and 3 of our family members who tagged along at the last minute) a wonderful preview of the food and helped us craft a menu that fit into our very tight budget. He accommodated multiple nut allergies, vegans, vegetarians, kids, and even a few surprise guests without a hint of an issue. Throughout our wedding planning process my Wife and I learned that we seriously dislike event planning, but I can honestly say that I almost want to plan another event just to get to work with AHI again. They're cool people and the food is fresh, delicious, and positively memorable. Thank you guys for being such a solid and excellent part of our wedding day! Mark and his team are exceptional! From our first meeting, we knew that he was the perfect caterer for our wedding. He is trustworthy, honest and his food is AMAZING. We highly recommend him! Great fresh and original food. Professional service. I have never been disappointed by anything my family has had from here. Family friendly. Truly a hidden gem of the gorge. 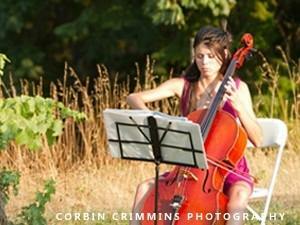 The first time I attended an event at Whispering Waters Farm, it was a wedding in July. It was absolutely gorgeous! The ceremony took place next to the river and it really could not have been more beautiful and serene. The event coordinators went out of their way to accommodate the bride and groom to make their day a very special one! I would highly recommend Whispering Waters Farm for your next special occasion! Whispering Waters Farm is a stunning location in Washington. The farm has a gorgeous view of Mount Hood, a great barn for indoor time, and a lovely creek for adults and kids to play in:). Which we did!:). I received so many compliments on how beautiful the location was and how relaxed the whole event was. It was even better than I dreamed it could be. We elected to have our wedding down by the creek, in a shaded meadow. There was a raised platform for dancing and facilities for the guests to use. John has a BBQ and a "kitchen on wheels," which is a brilliant mobile kitchen on a flatbed trailer. We hung giant red and white paper lanterns in the trees and it couldn't have looked better. John brought our supplies and decorations down on trucks and trailers, which was fairly easy. The part that my guests loved the most was that our guests parked higher up on the property and John brought them down to the creek in a white hay wagon that he pulled behind his tractor. They loved it and it made my day special and unique. My day was perfect at Whispering Waters Farm. I couldn't have asked for anything more. We wanted a lovely location and an event where both we and our guests could sit back and enjoy each other, and that's exactly what we got. I can't thank John and Andra enough! A must visit !! Gifts for all occasions. Olive Oils and Vinegars of all sorts, Salts, Teas, Spices and lots more. Super helpful sales staff... packaged my purchase so that it was gift-ready perfect. I'll most definitely be back! What a fun shop! I love bringing friends to check out the spices, teas, oils and vinegars to sample, cooking utensils, etc. I attended the Holiday Drink Mixing workshop & had the very best time. We got to sample the mixes we then made. We each left with beautiful jars filled with a variety of tasty mixes complete with gift tags & instructions to keep or give as gifts, recipes to make at home, and new friends. Janice has lined up so many fun events and has partnered with other small businesses in town!